As you know, there will be an election June 12th. The "Election Budget" that was tabled last week was essentially a Liberal Party platform designed to attract current NDP supporters on the left, and contrast directly with the PCs on the right. 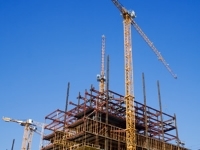 The outcome will have most significant implications for builders. Based on the current polling, the Liberals are neck-and-neck with the PCs and the NDP are very close behind. Any one of the three major parties could form the next government. Furthermore, based on current levels of support, the next government will likely be another minority. There are almost 200 pieces of existing legislation currently before Ontario’s Legislature. All these bills will now die on the Order Paper. We will continue to monitor the developments at Queens Park and advocate for our industry. Meanwhile, RESCON’s and its affiliates, Boards, volunteers and staff will continue to be dedicated to addressing many critical issues of concern to builders. The issues include for example: housing policies, infrastructure, mid-rise timber frame construction, the College of Trades, WSIB and safety issues, Tarion, Construction Lien Act (Prompt Payment), accessibility, energy efficiency, environmental assessments, labour relations, training & education. All have significant consequences for us and the housing market we serve. Wherever possible, we shall work with like-minded organizations such as the OHBA and BILD to hit our objectives. Below are some news items which I hope you will find helpful. Please continue to share your ideas and comments. 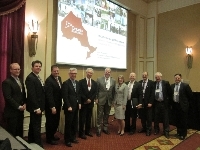 It is widely agreed that there is an insufficient supply of crane operators in Ontario. In response, RESCON has been supporting the development of a second Training Delivery Agent (TDA). We are expecting to receive confirmation shortly that Durham College in Oshawa will be the new TDA for Crane Operators. 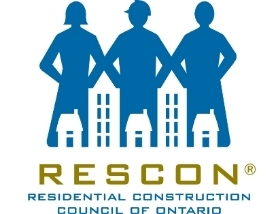 In the coming months, RESCON will be seeking feedback and support from other stakeholders such as the Ontario General Contractors Association and from the Labourers’ Union. Together we can work to ensure that there is an optimal labour force growth rate to support our industry. And Anotnio Muto was elected Chair of the DRCLB. Click Here for the full list of RESCON Directors and Officers. An independent review panel has decided that the sprinkler and fire protection installer trade should be reclassified as a compulsory trade. Click Here to read a Summary Report from Sherrard Kuzz LLP. As many of you are aware, in large part because of RESCON's advocacy, the Ministry of Municipal Affairs and Housing (MMAH) is currently proposing to amend the Building Code regulation (0. Reg. 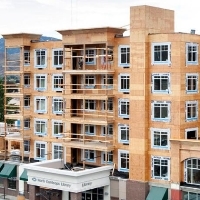 332/12) to change the maximum height permitted for wood frame building from four storeys up to six. Please see the attached Background Paper with RESCON's Final Comments which was submitted to MMAH. Thanks to all those that provided feedback. Any questions can be directed to Michael Steele. His contact information below. This new E-Newsletter is for members of RESCON only. Please feel free to invite your colleagues to sign-up for future issues on our mainpage. I also welcome your ideas for our next issue. Thank you. On March 28, 2014 the newly appointed Ontario Attorney General Madeleine Meilleur announced that as a result of concerns raised during Bill 69, the Prompt Payment Act public hearings, the government will launch a review of the Construction Lien Act. Bill 69 - The Prompt Payment Act has now died on the Order Paper because of the election. Bill 69 was introduced by Liberal MPP Steven Del Duca and if the Liberals remain the governing party, this work may continue, albeit in a new form. The OCOT recently marked it's one year anniversary and debate is still strong regarding its impact on the industry. 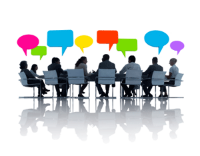 A growing number of stakeholders are coming out against the OCOT. Click here to a read a recent press release calling for the abolition of the OCOT. Below are a few recent articles regarding the OCOT. Infrastructure Ontario (IO) recently released a Market Update that confirms the Government’s plan to invest in four additional Alternative Financing and Procurement (AFP) infrastructure projects and other real estate projects. These new projects, including the Toronto Consolidated Courthouse, Hwy 427 Extension, Hwy 7 and the expansion of the High Occupancy Vehicle Lanes along the 401, are in addition to the eleven infrastructure and real estate projects that were identified in IO’s Fall 2013 Market Update. For more information, please see letter from IO President & CEO Bert Clark and the Spring 2014 Market Update. Hiring a Summer Student?...The Ministry of Labour is Watching! Between May and August 2014, the Ontario Ministry of Labour (“MOL”) will perform a province-wide summer safety “blitz” of workplaces with young workers (aged 14 to 24) and/or new workers who have been in a job for less than six months. If a similar blitz last year is any indication, these inspections will most frequently occur in the manufacturing, municipal (e.g.parks and recreation),farming, retail, tourism/hospitality, long-term care home and food services industries.